Mythcon 35 Guest of Honour SpeechBy Neil GaimanI thought I'd talk about authors, and about three authors in particular, and the circumstances in which I met them.There are authors with whom one has a personal relationship and authors with whom one does not. There are the ones who change your life and the ones who don't. That's just the way of it. 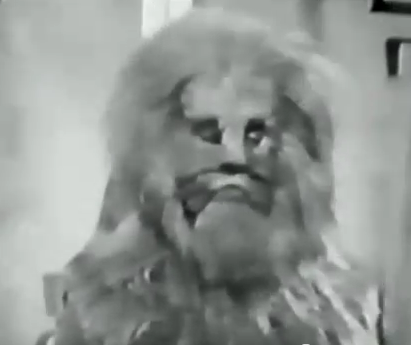 I was six years old when I saw an episode of The Lion, The Witch and the Wardrobe in black and white on television at my grandmother's house in Portsmouth. I remember the beavers, and the first appearance of Aslan, an actor in an unconvincing lion costume, standing on his hind legs, from which I deduce that this was probably episode two or three. I went home to Sussex and saved my meagre pocket money until I was able to buy a copy of The Lion, The Witch and the Wardrobe of my own. 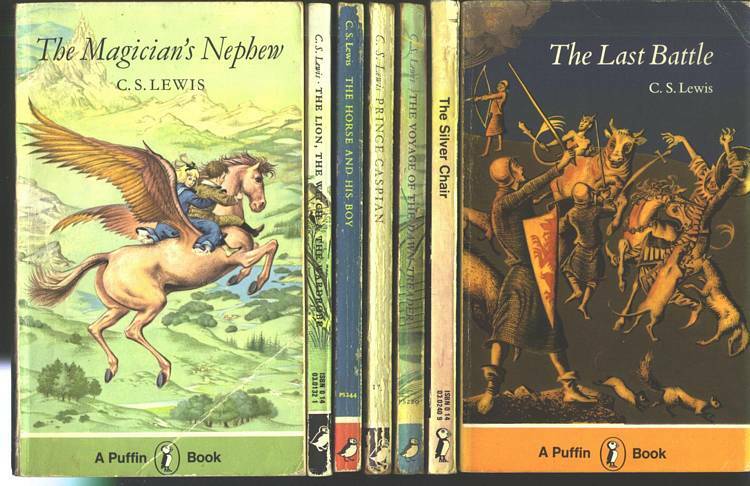 I read it, and The Voyage of the Dawn Treader, the other book I could find, over and over, and when my seventh birthday arrived I had dropped enough hints that my birthday present was a boxed set of the complete Narnia books. And I remember what I did on my seventh birthday — I lay on my bed and I read the books all through, from the first to the last. For the next four or five years I continued to read them. I would read other books, of course, but in my heart I knew that I read them only because there wasn't an infinite number of Narnia books to read.For good or ill the religious allegory, such as it was, went entirely over my head, and it was not until I was about twelve that I found myself realising that there were Certain Parallels. Most people get it at the Stone Table; I got it when it suddenly occurred to me that the story of the events that occurred to Saint Paul on the road to Damascus was the dragoning of Eustace Scrubb all over again. I was personally offended: I felt that an author, whom I had trusted, had had a hidden agenda. I had nothing against religion, or religion in fiction — I had bought (in the school bookshop) and loved The Screwtape Letters, and was already dedicated to G.K. Chesterton. My upset was, I think, that it made less of Narnia for me, it made it less interesting a thing, less interesting a place. Still, the lessons of Narnia sank deep. 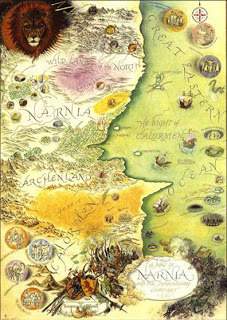 Aslan telling the Tash worshippers that the prayers he had given to Tash were actually prayers to Him was something I believed then, and ultimately still believe.The Pauline Baynes map of Narnia poster stayed up on my bedroom wall through my teenage years. I didn't return to Narnia until I was a parent, first in 1988, then in 1999, each time reading all the books aloud to my children. I found that the things that I loved, I still loved — sometimes loved more — while the things that I had thought odd as a child (the awkwardness of the structure of Prince Caspian, and my dislike for most of The Last Battle, for example) had intensified; there were also some new things that made me really uncomfortable — for example the role of women in the Narnia books, culminating in the disposition of Susan. But what I found more interesting was how much of the Narnia books had crept inside me: as I would write there would be moment after moment of realising that I'd borrowed phrases, rhythms, the way that words were put together; for example, that I had a hedgehog and a hare, in The Books of Magic, speaking and agreeing with each other much as the Dufflepuds do. C.S. Lewis was the first person to make me want to be a writer. He made me aware of the writer, that there was someone standing behind the words, that there was someone telling the story. 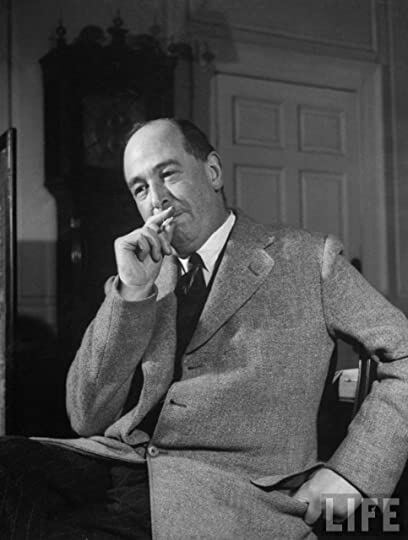 I fell in love with the way he used parentheses — the auctorial asides that were both wise and chatty, and I rejoiced in using such brackets in my own essays and compositions through the rest of my childhood.I think, perhaps, the genius of Lewis was that he made a world that was more real to me than the one I lived in; and if authors got to write the tales of Narnia, then I wanted to be an author.Now, if there is a wrong way to find Tolkien, I found Tolkien entirely the wrong way. Someone had left a copy of a paperback called The Tolkien Reader in my house. It contained an essay — "Tolkien's Magic Ring" by Peter S. Beagle — some poetry, Leaf By Niggle and Farmer Giles of Ham. In retrospect, I suspect I picked it up only because it was illustrated by Pauline Baynes. I would have been eight, maybe nine years old.What was important to me, reading that book, was the poetry, and the promise of a story.Now, when I was nine I changed schools, and I found, in the class library, a battered and extremely elderly copy of The Hobbit. I bought it from the school in a library sale for a penny, along with an ancient copy of the Plays of W.S. Gilbert, and I still have it.It would be another year or so before I was to discover the first two volumes of The Lord of the Rings, in the main school library. I read them. I read them over and over: I would finish The Two Towers and start again at the beginning of The Fellowship of the Ring. I never got to the end. This was not the hardship it may sound — I had already learned from the Peter S. Beagle essay in the Tolkien Reader that it would all come out more or less okay. Still, I really did want to read it for myself.When I was thirteen I won the school English Prize, and was allowed to choose a book. I chose The Return of the King. I still own it. I only read it once, however — thrilled to find out how the story ended — because around the same time I also bought the one-volume paperback edition. It was the most expensive thing I had bought with my own money, and it was that which I now read and re-read.I came to the conclusion that Lord of the Rings was, most probably, the best book that ever could be written, which put me in something of a quandary. I wanted to be a writer when I grew up. (That's not true: I wanted to be a writer then.) And I wanted to write The Lord of the Rings. The problem was that it had already been written. I gave the matter a great deal of thought, and eventually came to the conclusion that the best thing would be if, while holding a copy of The Lord of the Rings, I slipped into a parallel universe in which Professor Tolkien had not existed. And then I would get someone to retype the book — I knew that if I sent a publisher a book that had already been published, even in a parallel universe, they'd get suspicious, just as I knew my own thirteen-year old typing skills were not going to be up to the job of typing it. And once the book was published I would, in this parallel universe, be the author of Lord of the Rings, than which there can be no better thing. And I read Lord of the Rings until I no longer needed to read it any longer, because it was inside me. Years later, I dropped Christopher Tolkien a letter, explaining something that he found himself unable to footnote, and was profoundly gratified to find myself thanked in the Tolkien book The Return of the Shadow (for something I had learned from reading James Branch Cabell, no less).It was in the same school library that had the two volumes of Lord of the Rings that I discovered Chesterton. The library was next door to the school matron's office, and I learned that, when faced with lessons that I disliked from teachers who terrified me, I could always go up to the matron's office and plead a headache. A bitter-tasting aspirin would be dissolved in a glass of water, I would drink it down, trying not to make a face, and then be sent to sit in the library while I waited for it to work. The library was also where I went on wet afternoons, and whenever else I could. How you felt about Lord of the Rings is exactly how I felt about Lord of Light, and how I continue to feel about Lord of Light every time I read it. I have you to thank for introducing me to Zelazny. And I had exactly the same obsession with Narnia, as well as the same feeling of (mild) betrayal when the religious allegory dawned on me. I was raised in an agnostic/humanist household, so it took awhile for me to catch on. My dad (who gave me all the books I read, including LotR at 9 or 10) was vastly amused at my irritation with Mr. Lewis for "being sneaky," as I put it at the time. This was a beautifully crafted speech. I took a similar literary journey as a child, and I thoroughly enjoyed your depiction of your thoughts and feelings towards the books I loved growing up. I shared your disillusionment when I finally realized The Lion, The Witch, and the Wardrobe was essentially a re-telling of the Christ story in the new testament. Growing up, that book was one of the most unique and interesting things I’d ever read (then again, when compared to Nancy Drew, most things are unique). Knowing it was essentially plagiarized took some of the magic away. Then there’s the hidden agenda factor you pointed out - I’ve always disliked authors that write with an obvious agenda. I prefer to be wooed with someone’s philosophy, not browbeat with it. “…the best way to show people true things is from a direction that they had not imagined the truth coming” – so beautiful, and profoundly true. CS Lewis could have taken subtlety tips from this play book. Truths are best when they sneak up on us like ninjas, and isn’t the science fiction genre a wonderful canvas for those elusive truths? “And I wanted to write The Lord of the Rings. The problem was that it had already been written. I gave the matter a great deal of thought, and eventually came to the conclusion that the best thing would be if, while holding a copy of The Lord of the Rings, I slipped into a parallel universe in which Professor Tolkien had not existed.” This one made me laugh. If only inter-dimensional travel were feasible. Just think of the possibilities! 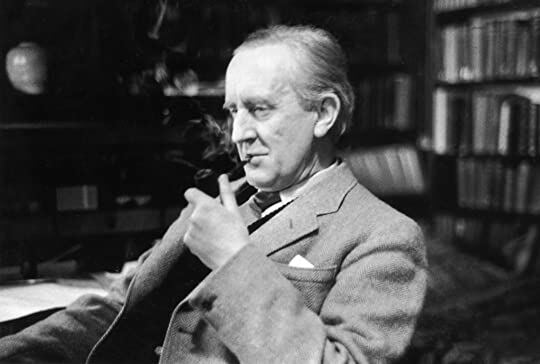 While, I love Tolkien, I’m glad you forged your own unique literary path. I think you succeeded in carving out a place of honor in the world of epic fantasy. And, it’s your own place – 100% uniquely yours. I’m not sure what your motivations are for writing, but you’ve created beautiful, moving books, that have sometimes transported me to other worlds, and other times made me imagine there might be something more to this world. I remember eyeing sewer grates and homeless people after reading Neverwhere, wondering if there might be something more to them than meets the eye. Your books sparked my imagination, adding color and magic to this sometimes dreary and mundane world, and for that I will always be grateful to you. Thank you for sharing this speech. I especially enjoyed where you shared your thoughts on the impossibility of being able to word things in the way Tolkein was able to. I was so excited to see this essay, especially when I saw Chesterton's name in the title! 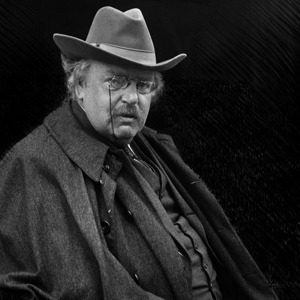 I'm actually deeply involved in a project with a collection of Chesterton's works, and the more I catalogue, the more I start to fall in love with this man's writing! I love and respect you very highly as an author, and it's always exciting to discover that your favorite authors have similar taste in books (I'm ALSO a fan of Tolkien and Lewis, though I haven't read any of their works in a long time. Thank you for helping me remember what books meant to me as a child. I took that journey into Narnia and into Tolkien's (and also L. Frank Baum's) world, but never went back....so the disillusionment with the religious message never set in. Now I understand that it does take multiple readings for an author to "get inside of you...." and also to realize what the author is about (as you gain the perspective from a different age). Yesterday I recommended The Graveyard Boy to an eighth grader who came into the library for the first time in years (he told us he liked fantasy), I think because he was just informed through a test that he had taken that he read at the 11th grade level. If you're told you have advanced understanding, then all of a sudden reading takes on a new interest because it's a 'talent' you have. Some of us lucky ones discovered this at age 9 or earlier! I really love your posts Neil because they put into words a lot of the same feelings that I have. I have had people ask me before, "what is the point of reading fiction?" as if it were a waste of time, and the question excites me to no end because there are so many answers. How is it that I still have the same excitement at 29 for picking up a book as I did at 9? We wouldn't read it if Fiction did not resonate with us in some way in our everyday lives. Thank you so much for the posts and keep it up--they are so much fun to read. I didn't get the allegory in Narnia until the last book, and probably the six or eighth time I'd read through it. It just hit me, all at once, and I think I might have actually cried--it's like when someone you love has been lying to you. Not out of meanness, so you can't really be mad, but this thing that you believed had one motive suddenly has another. I didn't think I was taking it personally at the time, but apparently I did! Tolkien...I didn't read any of his stuff when I was in my formative years, and I wish I had. Now, there's too many English Major complaints for me to really enjoy reading his stuff. All my enjoyment comes from reading what others have to say about his work, his process, the intricate ways he built his worlds, the total devotion he had to them. I joined Goodreads last night and am now convinced that this post is the reason why. One of my favorite authors, discussing three of my other favorite authors? The Man Who Was Thursday is my all-time favorite book, and Neverwhere is also on my very short list of favorites. Thank you so much for sharing this. A marvelous essay. Thanks so much for posting this. Tolkien remains my hero after countless re-reads. From his insanely beautiful creation myth to Sam Gamgee listening to its echoes at the end of LOTR these works speak most to me of the full scope of the human condition, and all that is to be treasured therein. Lovely to read the posts above and hear that others, including yourself,found similar paths into this fabulous branch of literature. I never read the Tolkien books, nor the Narnia books. I barely heard of Father brown. Such is my generation, but it's not irreparable. I want to read more classic books, good books are getting harder to come by. Like television, commercial and tried-and-tested plots seem to be surfacing and painting itself an ocean in bookstores. But just as a note to what you said about Narnia, I felt the same way with the movies. It enchanted me, and even as a roman catholic, I didn't see the connection til someone pointed it out to me. I remember thinking "I thought so, but I really hoped it wasn't like that." It's not that I blame the author, nor do I have anything against spreading teachings through a few tales...I guess it's just that I felt cheated of the fantasy. It was like seeing a painting turn into a puzzle. Rather than art, it was pieces artfully pieced together. I also never picked up on the allegory of Narnia until the end of the last book, when things literally begin falling apart. Even then I saw this as the death of Narnia, both for being the actual finale and for exploding the magic that made Narnia important. Bittersweet, but it did provide a sense of closure, not that that made me any happier at the time. It's kind of ironic that Return of the King and the Last Battle, by my two favorite authors, also made me completely terrified of ending any fantasy series. After I finished LotR I cried for an hour straight, knowing I could never finish it for the first time again-- then again when my parents told me Tolkien wouldn't be publishing any more books :( Luckily I've gotten over my fear of closure (though for a while it seemed like Robert Jordan and George R.R. Martin were really catering to me). Thanks, Neil, for picking up the tradition where these great men left off. Fantasy is the better for it. Thank you so very much, Neil, for putting words to feelings I've known, but not known how to express. Thanks for this delightful essay. No doubt because I am a trustee of a library, I was struck by what a marvelous library you had available to you at school. Tolkien, Lewis, Chesterton, Wheatley, Cabell, Wallace and Orczy - WOW! All libraries are great places to begin with, but this one must have been especially magical for you. I have to agree with Bruce and his comment on libraries. Over in the States, it is a RARE school library that contains the books you're mentioning. One normally has to go to the local public library to find them, which is a crying shame.